Purpose: To raise the smoking age from 18 to 21. Analysis: Those voting YES on this bill supported raising the smoking age from 18 to 21 over a three year period ending in 2019, and to raise the tax on cigarettes by 39¢ (to a total of $3.47) and on other tobacco products by 32¢ — an estimated $900,000 tax increase. Those voting NO opposed the rise in age limit, citing an adult’s right to decide for his or herself whether or not to smoke, and the tax increase on the grounds that the tax increase was just another money grab, that the change will place an undo burden on small businesses that sell cigarettes, and that this will just drive more business across the Connecticut River to New Hampshire. 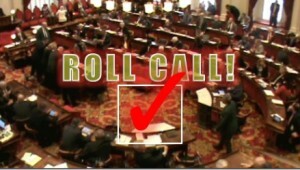 Roll Call – House Blocks Amendment Exempting Military personnel from the 21 year smoking age limit. Dumb and dumber …. if they would simply stop their crazy spending.